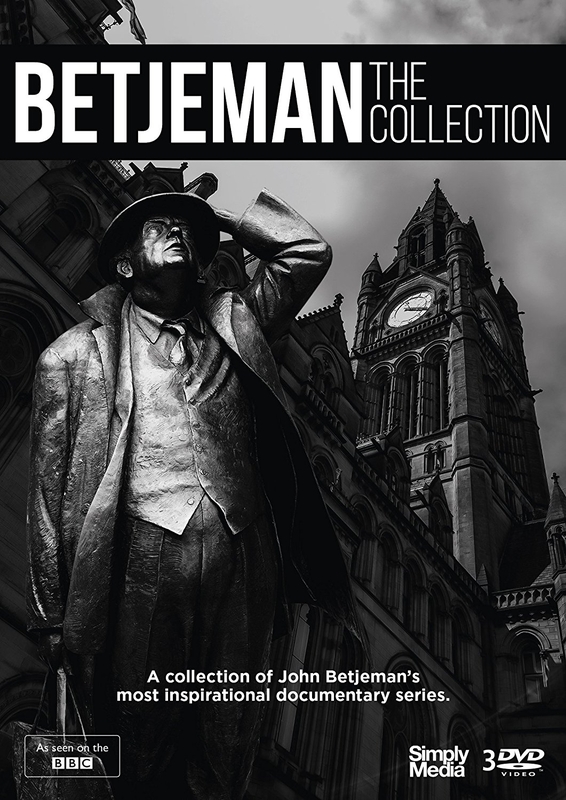 Collection of three documentaries presented by writer, broadcaster and conservationist John Betjeman. Collection of three documentaries presented by writer, broadcaster and conservationist John Betjeman. Follow John Betjeman on an unforgettable journey as he explores the UK in search of the finest gems of traditional British architecture. The multi-talented Sir John Betjeman was one of television s most memorable personalities. A prolific writer, poet, broadcaster, and an active architectural campaigner and conservationist, Britain s former Poet Laureate was a much-loved figure for his unwavering devotion and life-long passion for traditional architecture. A champion of British heritage, he worked closely with the BBC to produce many excellent and informative documentaries, which opened people s eyes to the true value of the buildings and places around them. In this collection, we bring together some of Betjeman s finest BBC documentary series to celebrate his legacy and extraordinary work: A Passion for Churches, A Bird s Eye View and Four with Betjeman: Victorian Architects and Architecture. Each programme showcases Betjeman s infectious enthusiasm for architecture, and the enduring appeal that he still has today. Follow John Betjeman on an unforgettable journey as he explores the UK in search of the finest gems of traditional British architecture. The multi-talented Sir John Betjeman was one of television s most memorable personalities. A prolific writer, poet, broadcaster, and an active architectural campaigner and conservationist, Britain s former Poet Laureate was a much-loved figure for his unwavering devotion and life-long passion for traditional architecture. A champion of British heritage, he worked closely with the BBC to produce many excellent and informative documentaries, which opened people s eyes to the true value of the buildings and places around them. In this collection, we bring together some of Betjeman s finest BBC documentary series to celebrate his legacy and extraordinary work: A Passion for Churches, A Bird s Eye View and Four with Betjeman: Victorian Architects and Architecture. Each programme showcases Betjeman s infectious enthusiasm for architecture, and the enduring appeal that he still has today.